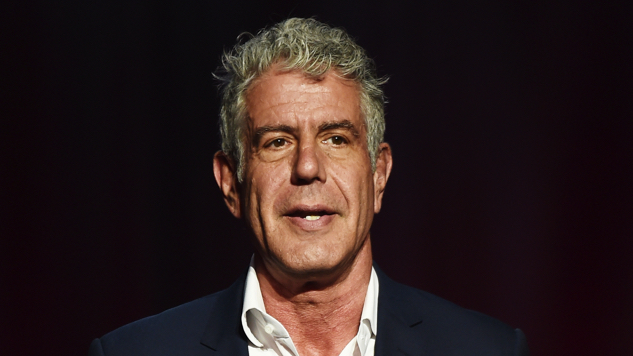 Emmy-winning Parts Unknown host, chef and author Anthony Bourdain was found unresponsive in his hotel room in France on Friday morning, his employer CNN confirms. He was 61 years old. CNN reports that Bourdain’s cause of death was suicide. Bourdain was in France to work on a forthcoming episode of Parts Unknown, his beloved food/travel series, which recently premiered its 11th season. Bourdain was found unresponsive this morning by his close friend, French chef Eric Ripert. Tributes to Bourdain have spread far and wide across social media this morning. I feel this death in my bones. @Bourdain had what I’d call a generous curiosity about the world, guiding audiences through it with an awe, respect, and humor that are all too uncommon. Also rare: he knew what he didn’t know. I never knew him in person. I will miss him terribly. So sad to hear about Anthony Bourdain. Depression comes in many many forms, it attacks different people in different ways. Tell someone about it. Cling to the raft. Keep going. If you or someone you know is struggling or in crisis, you are not alone. National Suicide Prevention Hotline: 1-800-273-8255 or online at SuicidePreventionLifeline.org.